You’re obviously here because you write middle grade, right? Amanda Rawson Hill: I grew up in Southwest Wyoming with a library right out my back gate. (Which accounts a lot for how I turned out.) After getting my bachelor’s degree in chemistry, I became a homeschool mom, a knitter, gardener, and, of course, writer. I am passionate about books, Disneyland, and refugee advocacy. (For the last year I’ve been working with several newly-arrived families from Afghanistan and it has changed my life.) I’m represented by Elizabeth Harding of Curtis Brown LTD and my debut MG novel, THE THREE RULES OF EVERYDAY MAGIC, will be published in the fall of 2018 by Boyds Mills Press. Favorite TV Shows: Poldark, Grantchester, White Collar, Psych, Endeavor, Genius—basically I’m a fan of period dramas and quirky contemporary, I guess? After reading and loving each other’s work, and then signing with the same agent, we decided to make the writing twin thing official and become Pitch Wars co-mentors. Destiny sealed the deal when we both got book deals with planned publication dates in the same year. Can’t beat that! Both of our debuts are about a child dealing with the mental illness of a parent. We are both extroverts who love to talk through things. We get very passionate. We feel everything deeply. We’re big on hugs (virtual and IRL). We don’t shy away from total sincerity and talking about feelings. We love big and we love hard. Cindy is Anne Shirley. Amanda is Leslie Knope. Together, we head up Team Mascara Tracks. Last year we mentored two writers, Kit Rosewater and Cory Leonardo. Kit got the most agent requests of any MG entry in the agent round. Cory also did quite well and recently announced her book deal with S&S Aladdin. They both had agent offers within five days of Pitch Wars ending. While we can’t promise that same level of success, we can promise the care and attention that went into the process. If you want to know what it’s like to work with us, each of our mentees wrote a blog post about it. You can read Cory’s here. And Kit’s here. But if you just want a short blurb to convince you that you TOTALLY SHOULD submit to us, then here’s a highlight from each. Our favorite genres are MG contemporary, Magical Realism, and historical. Within those genres we are particularly looking for stories usually labeled, quiet, character driven, heartfelt, and literary. The comedic and quirky is not really in our wheelhouse. That’s not to say that we don’t want a book that has quirky or comedic elements (we love those! ), but that shouldn’t feel like the main focus or strength of the story. We want FLORA AND ULYSSES, not DIARY OF A WIMPY KID. We are particularly looking for stories the revolve around big, hard, real-world problems. If somebody has ever said, “Wow, isn’t that a little heavy for MG?” We want it. If somebody has ever said, “This is really sad.” We want it. We want to feel something. We want to bawl our eyes out. We want to see beautiful, powerful prose (or poetry). We want books that exemplify the quote “When a subject is too hard for adults, I write it for children.” We want books that tackle tough subjects in a hopeful and life-affirming way. We want big philosophical ideas handled with the grace, wisdom and innocence of this age group. We’re accepting SFF as well, but tend to be much pickier about those genres. We love books that use a fantasy framework to tackle big, real-life issues. We love books that draw on mythology in interesting and classic ways. We love books that use their fantastic settings uniquely, to draw back the curtain on things in our own world. We’re less likely, however, to be the right mentors for adventure fantasy—think THE GIRL WHO DRANK THE MOON or WHERE THE MOUNTAIN MEETS THE MOON rather than FABLEHAVEN or PERCY JACKSON. We also have strong preferences when it comes to historical fiction: We’re not the right mentors for stories where the history or world-building plays a larger role than the character’s arc. We love historicals that focus on one small, character-driven story against the backdrop of larger events that really happened, without spending too much time or detail on those larger events. Basically, if you have the next THE WAR THAT SAVED MY LIFE, well—send it our way! Last year, we took on an “animal story”—Cory Leonardo’s CALL ME ALASTAIR, about a curmudgeonly parrot. And while we love, love, love her book, we’re going to continue to say the same thing we said last year. Animal stories are a hard sell for us. They have to be done very well, with a great voice, something unique (Cory’s had gorgeous poetry), and lots and lots of heart. Basically, you need to be able to compare it to FLORA AND ULYSSES and THE ONE AND ONLY IVAN. Cory did, and the comparison held up. We’re definitely NOT the mentors for animal stories that are more humor than heart. Historical fiction from earlier than the 1800’s. Looking at last year’s Pitch Wars, we can tell you that voice and beautiful writing are probably the number one thing that draws us to a manuscript. We can help you change everything else. But the voice reigns supreme. Kit was one of our Pitch Wars mentees last year. 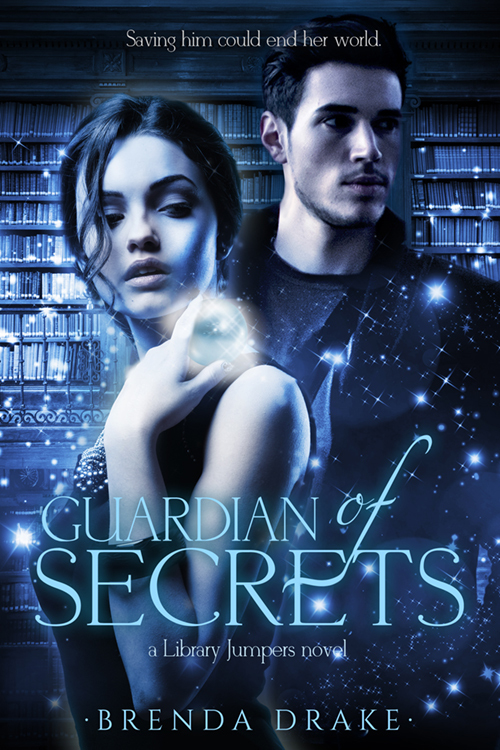 Her entry got the most agent requests in the MG category last year and she received her first agent offer within 48 hours of the agent round ending. We asked for a “blurb” to recommend us to Pitch Wars hopefuls and this is what she said. “You could not ask for more supportive mentors in Amanda and Cindy. From the second I read their wish list in the summer of 2016 I knew we would make a perfect match, and I still hold that belief true. Though in retrospect, I realize the match with these two mentors was not paved due to a particular style or element they were seeking in narrative. I felt a connection to these two because at their core, they want to aid and champion sensitive and sincere middle grade fiction. Though I was asked to rewrite the manuscript, I knew from the beginning that they “got” my story. Amanda and Cindy have the unique ability in plucking key emotions, interactions, and symbols from a text, and carrying those gently forward while rearranging all the trappings around them. Though nearly every word of my manuscript was switched around and deleted and rewritten by the time the agent round arrived, it felt more like my vision than ever. Cindy and Amanda knew what I was after in my writing, and helped me to maintain the things I found most important, even through completely fresh drafts. This is a vital skill to have in the process of revising, and one I shall carry with me forever. Cory Leonardo is the author of CALL ME ALASTAIR, which will be published by Aladdin in Summer 2019. She was also one of our Pitch Wars mentees last year. We asked her if she’d give us a “blurb” to convince you all of our awesomeness and she basically sent the best letter ever. We hope it gives you some insight into what you can expect from us. When Amanda and Cindy asked me to write a testimonial for their mentor page this year, I jumped at the chance to tout the impressive list of gosh-darn, superhuman everythings they offer their potential mentee. It’s how I’ve come to write you this letter. The next step, of course, is to name every one and try to rightly convince you that the buck stops here at #teammascaratracks. I assure you: I will fail miserably. There are too many things to count and not enough words in my trusty thesaurus to describe them. YOU ABSOLUTELY, POSITIVELY, UNQUESTIONABLY, WITHOUT A DOUBT, IN NO UNCERTAIN TERMS, *MUST* SUBMIT TO THIS DYNAMIC DUO, NO IFS, ANDS, OR BUTS. PERIOD. Okay, so that was two sentences. But, thank you. You may now go back to your regularly scheduled program. Now, for those of you willing to hang in a little longer, I’d be honored if you’d lend me your eyeballs for a few minutes more. I’ll try to do this justice. I stumbled upon Pitch Wars the last week of July last year. I’d recently finished a first draft of my MG novel, CALL ME ALASTAIR, and was planning on revising and submitting to agents in the fall. But after reading up on Pitch Wars and seeing the astronomical success rates (and after, I’ll admit, some hemming and hawing, for I’m woefully indecisive), I decided I would submit. The next question was to whom. Not many—okay, no one—wanted a novel about an anthropomorphic parrot. In fact, most of the mentor wish lists included the dreaded phrase, “no talking animals,” and it seemed my fate was sealed. I selected a few maybes to put on my list, and then came across Amanda’s and Cindy’s wish list. I remember it distinctly. I remember the heart-hammering feeling of knowing that this, this! would be a dream come true. I fell in love with their voices, their wit, their camaraderie, their passion for children’s literature and this wild, wonderful thing called writing. I shared so many of their favorite books and authors and knew we loved the same heart-felt tear-jerker. I knew my book fit what they were looking for. There it was. I think the exact terminology was, “We’re not fans of books with talking animals.” Part of me wanted to cry. I was already convinced ALASTAIR needed them, that if anyone could fall in love with a talking parrot and his story, it was these two. I took a risk and submitted anyway. In fact, just in case there was an order to these things and the first-selected mentors got first dibs, I stacked my list. #Teammascaratracks was at the tippy top. It was 9 p.m. the night before I was leaving for a 5 a.m. 15-hour drive. I snapped my laptop shut and resumed packing, thankful the submission was done and nervous about how it would all turn out. It would come as a bit of a surprise (note the sarcasm) that less than two hours later I got an email from Amanda saying she’d like the synopsis. Approximately 3.5 seconds of rejoicing was quickly snuffed out when I realized I had no synopsis. No problem. I thanked my lucky stars I was an English major once-upon-a-time and had spent many the all-nighter writing papers. Admittedly, there was some Googling involved and a lot of mad-hatter typing, but sometime after 3 a.m. that bad boy was submitted. Two hours of sleep is fine when your husband’s driving, I told myself. But then, the next morning, another email. This time: 50 pages. 50 pages I hadn’t yet edited, and the suggestion that adding POVs might be needed. I spent the rest of the car ride chewing on that little tidbit, and by the time we’d arrived at the beach, I knew there was a way I could do it. I spent most of the night editing and sending off my reply. Another email. Amanda and Cindy wanted the rest of the book. Another 140 unedited pages. Long story short, there was a full day fixing those and sending them off. And then there was nothing left to do but chew my fingernails until the announcements were made two weeks later. I was genuinely shocked when they picked me. I’d been Twitter-stalking them but hadn’t suspected. A year later it comes as quite the surprise that they were able to hold it in so long (here’s looking at you, Amanda). Amanda’s like a three-year-old with a secret. I’m certain that if you asked her family, there are times where they’ll find her sitting on her hands in front of her computer so as not to type those secrets away. It’s adorable, frankly. But they kept it in (there was one questionable GIF), and once all our names were plastered up there on that glorious Pitch Wars document, there was much rejoicing. This is basically Amanda with a secret. Oh, and a 6-page edit letter. Single-spaced. Team Mascara Tracks is nothing if not prompt. Pitch Wars hopeful, if you are ever the recipient of such a letter, let me reassure you. You will cry from joy at your mentor’s gushing—but will weep uncontrollably from fear and uncertainty at the rest. I had never received such detailed notes on even a page of any manuscript I’d written, and here I’d received a comment on all of it. Comps. Concerns. Structure. Plot. Pacing. Characterization. Theme. Big picture. Small picture. Resources. Everything. I was astounded that they took the time and had thought about my book so deeply and thoroughly. But I was also a bit heartbroken. There were things wrong with my book! There were concerns! The title! The climax! My book needed work! One thing I’ve found is that every edit letter is the same in one respect. It will crush you for a bit. But you will pick yourself back up, dust yourself off, wipe the tears from your eyes, and get to work. Every. Single. Thing Amanda and Cindy said, every one, was right on. Over the next few months, I grew to trust their instincts more and more. They were always right, and every time I took a little while for their comments to sink in, I’d come to the same conclusion, make the necessary changes, and every time the book was better. These two marvels spent hours upon hours upon hours, reading, sending notes, doing line edits, big picture edits, researching agents, answering a random assortment of questions, walking me through agent phone calls, the submission process… the list could go on forever. I will, always and forever, be indebted to these amazingly beautiful women who daily astound me with the scope of their imaginations, their knowledge of writing and the writing industry, their willingness to help, and their passion to teach and promote other writers. The fact that they’re phenomenal writers themselves (who somehow find the time to do it in between being awesome everywhere else) pretty much seals the deal: they’re the best ever. It’s official. Amanda and Cindy have been my cheerleaders, my editors, my teachers. They are writer-mamas who know when to offer a virtual hug or a virtual lecture (though you never feel naughty, only that you want to rise to their expectations). They do all they do with joy, grace, enthusiasm, skill, and a whole lotta love. Today, they are more than all that, however. They’re my beloved friends. (And I’ve already informed them I’ll never be able to write another book without them.) They are a treasure to me. I can say now that CALL ME ALASTAIR would never be the book it is without them. It would never have garnered the attention of agents like it did, gotten several offers, sold to S&S/Aladdin, and would not be cozying up to a bookstore shelf in Summer of 2019, were it not for Amanda Hill and Cindy Baldwin, #teammascaratracks, human beings extraordinaire. In a few years, when I’m holding my book in my hands, I will never look at it and not think of them. (The same is true for parrot and Jane Austen GIFs). The questionable gif mentioned above. If I can leave you, dear Pitch Wars hopeful, with one piece of advice, it is this: take a chance at these two, the very best mentors this experience can offer. Make a wish, say a prayer. Watch for falling stars, hunt for clovers, save your birthday candles, and collect as many dandelion puffs as your arms can carry. I’ll be crossing my fingers for you. This blog post is a compilation of a tweet thread I posted this morning. I’ve added a few thoughts here and there to the original thread and a few extra exercises at the end. Hope it helps! Ok #pitchwars You’re going to hear this a lot over the next few weeks. You need a killer voice. Which is true, but can be so frustrating to hear. So, while I can’t teach you how to write a killer voice, you CAN practice. Here are a few thoughts on how to practice voice if you’re struggling. 1. Write the same scene but change who the MC is. Perhaps in one form, they’re a dudebro, and then write it again w/the MC as a scientist. Notice what this changes in the narration. While the events of your scene may stay the same, a change in narrator should change everything else. What your character notices, how they describe it, how they react to it physically and emotionally. These are all elements of an immersive voice. But there are other more subtle things you can practice, too. 2. Make a word/phrase list. Make two columns, in one write several different emotions or reactions. In the other column, write the go to phrases for that. In our 2016 mentee’s, CALL ME ALASTAIR, her medically obsessed MC writes “OMGAD” when exclaiming. (GAD=general anxiety disorder) My friend (and fellow mentor) Julie Artz likes to add to this list details like which of the five senses her character is most sensitive to, which part of their body reacts to things most. It’s little details, but it makes a huge difference. 3. Try meditating as your character. I mean it! Close your eyes, take deep breaths, and try to become one with your MC. It sounds crazy, but that’s what I do. What do they see? Think about their height and literally “get on their level.” That alone should change how they describe certain things. How do they move through their world? How do they feel it? Try to make all of that a part of your body. Then bring it out and into the words you type. Okay, hippie dippie enough for you? Let’s move on. 4. Try writing in another authors voice. Choose someone with a REALLY strong voice. Write in the voice of CATCHER IN THE RYE. Write in the voice of Douglas Adams. Or JK Rowling. Or Lemony Snicket. This is a great way to notice what makes those strong voices. 5. If you’re still struggling, or feel like you only have one voice, try an out there, totally different kind of MC. I was worried about voice for my last WIP, so I decided to try out a wise, British narrator. Because, hey. Why not? It worked. So go crazy. Give your character an awesome hobby that can leak into their wording and way they describe things. Have them be a collector or something, obsessed with some historical or pop culture thing. Whatever it is, just let it infuse into every chapter of your book somehow. 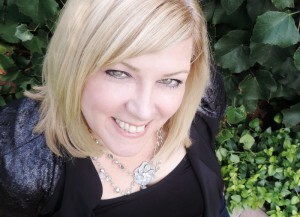 I like this post from my co-mentor Cindy on letting your character’s “freak flag” fly. 6. Always remember, voice isn’t just the words you use but what your MC notices and how they react physically and emotionally. 7. Read Aloud. First do this with published books with great voice. Notice what a great written voice does to the way you read a book aloud. With the best, you will notice yourself actually falling into a cadence. A rhythm to the words. Almost like, this book can only be read one way. THE GIRL WHO DRANK THE MOON is like this for me. Also, WOLF HOLLOW. I read that one aloud and even though I didn’t mean to, found myself taking on a light accent. Cindy’s WHERE THE WATERMELONS GROW is the same way. You should be able to do this with your own writing, too. Read it aloud and notice where the cadence feels off or where you find yourself sort of stumbling or falling out of that rhythm. Then fix it. After that, give your manuscript to a really good friend or your partner to read aloud. See if THEY fall into a cadence reading it. If they can’t help bringing it to life. Notice the boring or less alive patches in their voice. Fix those! Some additional exercises that might help. Like the first exercise above but a little different. Think of a family story or scene from a recent outing. Imagine how your mom would narrate. Then imagine how your dad would narrate it. This one won’t work for everyone, but it will for some people. Write for your character in free verse. I don’t know what it is, but verse helps me get to the heart of a character and their voice in five minutes flat. Try just being yourself. How would you describe this scene to your very closest friend? Don’t clean it up. Leave in all the little asides, snide remarks, inside jokes, fragmented sentences. All of it. Be free and easy and totally yourself. What you come up with should be really voicey. After all, you are an awesome MC, right? To finish off, I just want to let you know that the very first draft of THE THREE RULES OF EVERYDAY MAGIC had very little voice. And what it did have was basically the voice of my last MC. I knew it needed work. But there were a few times as I was writing, that a different voice snuck in. I literally stopped writing, marked those spots and left a note for myself saying, “This is Kate’s voice!” Then after I finished drafting, I went back to those moments, read them, and kind of pondered them for a couple weeks before sitting down and rewriting the entire manuscript in the RIGHT voice this time. Maybe nobody can teach voice. But you CAN practice it, learn it, and improve it. Good luck! 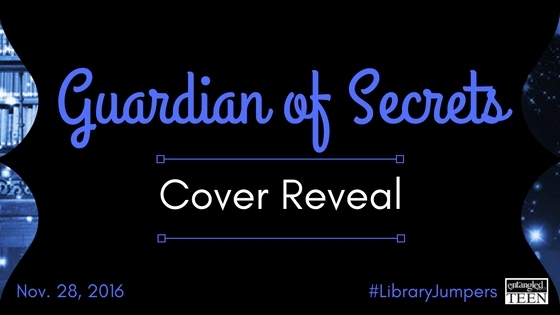 Guardian of Secrets Cover Reveal! 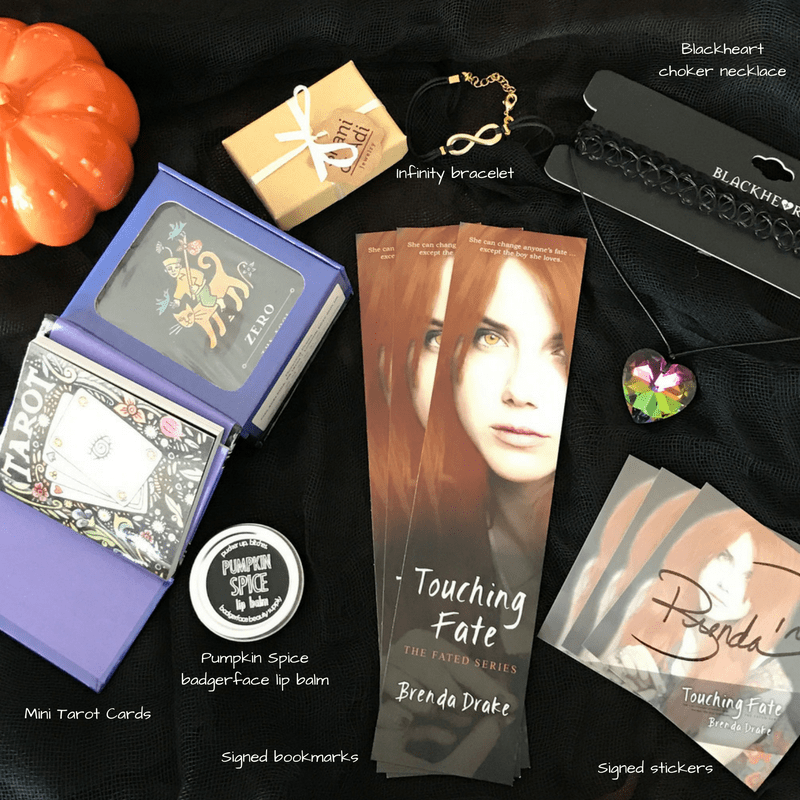 I’m so excited to take part in Brenda Drake’s Sale & Excerpt Blitz for TOUCHING FATE! 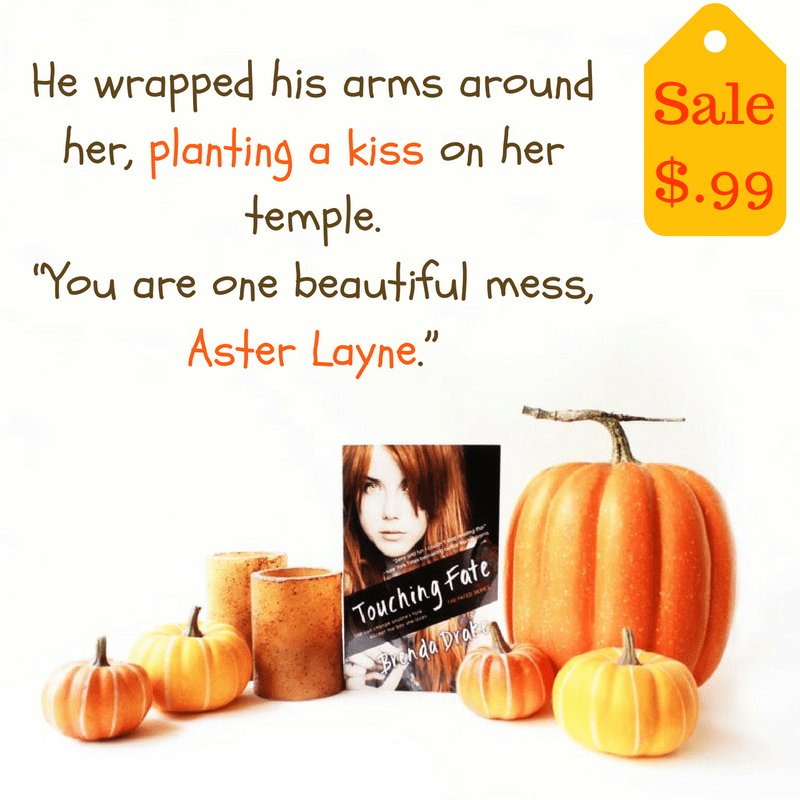 Check out the excerpt below and grab it for just $0.99, peek at CURSING FATE (book 2), and be sure to enter the amazing giveaway! 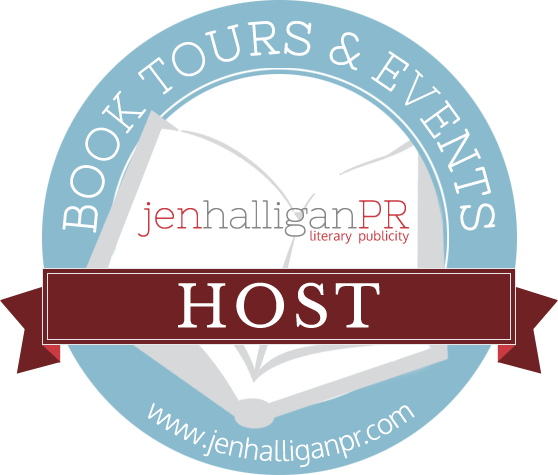 Join the celebration for CURSING FATE’s release! Sign up to take part in the Release Day Launch on November 21st (open to everyone)!